Highclere Castle by Foundation - Buy Premium Cigars Online From 2 Guys Cigars . Highclere Castle Cigar was meticulously crafted by master blender, Nicholas Melillo, inspired by the style and flavor profile of cigars imported by the earlier Earls of Carnarvon to Highclere Castle at the turn of the 19th century. 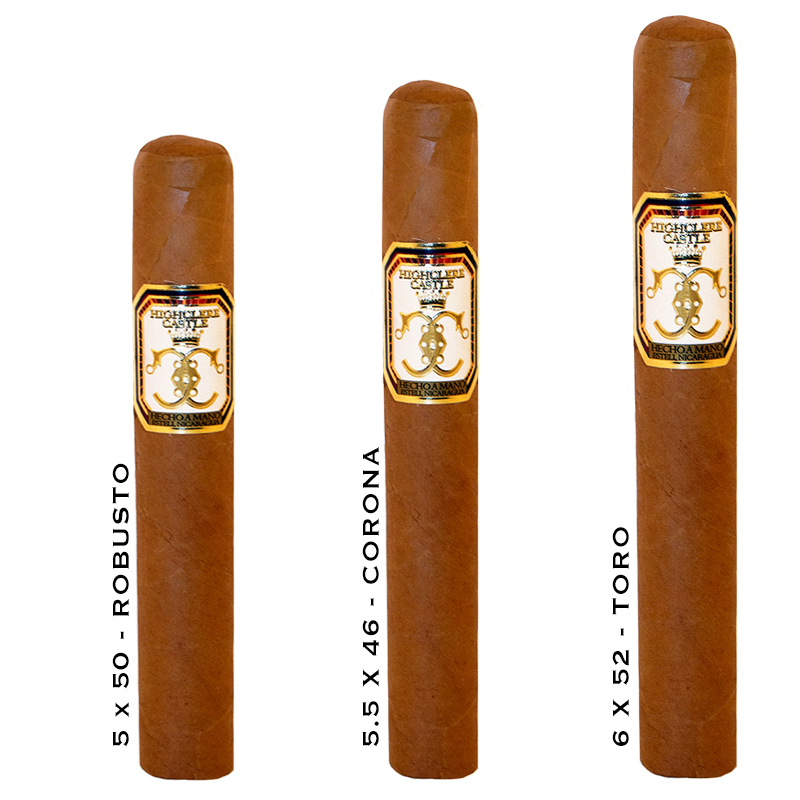 The result is a hand rolled cigar from Estelí, Nicaragua, using the best Connecticut Shade wrapper available. The filler includes both Criollo and Corojo from the volcanic soils of Jalapa and the island of Ometepe. For the binder, the ancient Mata Fina, a carefully selected dark tobacco from Brazil, is used to tie the flavors together. This special blend is finalized with their very own exclusive hybrid seed that has been named Nicadan, whose flavor is reminiscent of tobacco leaf from a bygone era. The resulting smoke is silky smooth, exceptionally creamy with a lite peppery profile. Close your eyes and you’ll get a nose of fireplace and leather books that brings you right to Highclere Castle's library. Subtle, sweet notes lend themself well to hints of citrus and the finish is elegantly clean.